Fiesta 2018: ¡Celebrando A Todo Color! Fiesta is pleased to announce its 16th annual festival to take place Saturday, Sept. 29, 2018, from noon to 8 p.m. at Birmingham’s Linn Park. Early bird tickets are available from June 1-30 for just $5 per person or from July 1-31 for $7 per person. Regularly priced tickets can be purchased for $10 each from Aug. 1 until the festival. Day-of tickets will also be available for $10 at the gate on Sept. 29. Children ages 12 and under are admitted free. Donations to the scholarship fund at Fiesta are encouraged at the event. With the goal of educating the public about the many different Hispanic countries and their cultures, Fiesta provides the opportunity for more than 15,000 patrons to journey through 20 represented countries and experience the best of Hispanic art, music, food and dance. Explore all the different aspects of Fiesta, including the family village, cultural village, community village and health and wellness village. 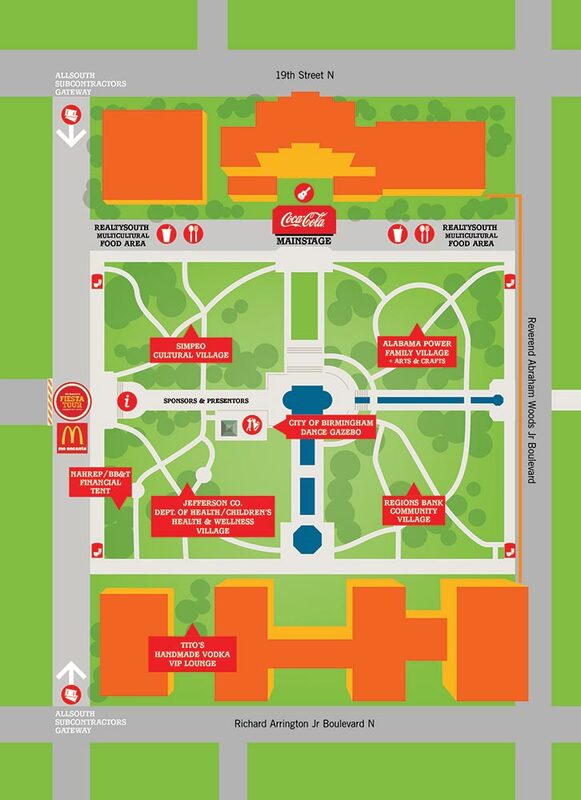 Listen and dance along to our extensive lineup of artists and performers, live from one of Fiesta’s two music stages, including the festival’s Coca-Cola Main Stage. 7:30 PM - Coca Cola - Frankie J. 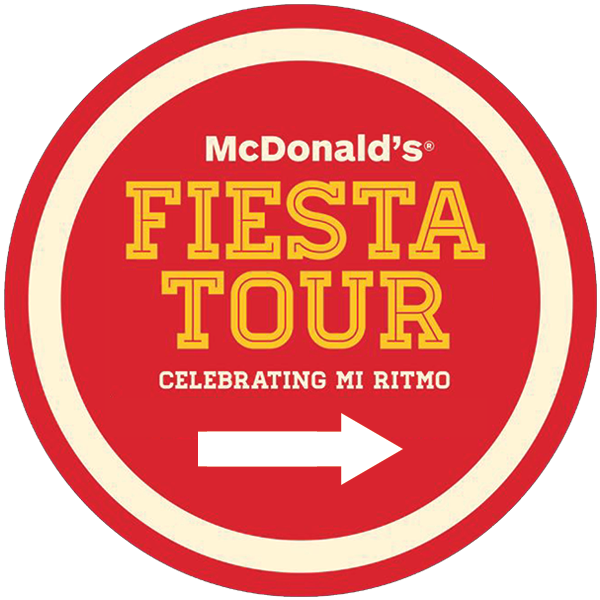 Visit the McDonald’s Fiesta Tour, the Annual Latin Grammy Experience, a traveling 50-plus-foot exhibit that pays tribute to McDonald’s passion for Latin music. The Fiesta Tour features trivia games, a photo booth, artist memorabilia, listening stations, social media wall, product sampling and more!